With CSKA Moscow having already secured their place in the play-offs, you have to wonder if they will be fully motivated in this match. 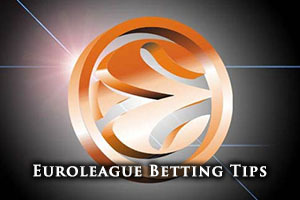 There is still home advantage to play for, which should provide some inspiration to the Russian giants, but there will be some Euroleague betting fans who will wonder just how much motivation is available for a team that knows the hard work has been undertaken for this stretch of the campaign. This will be the fourth meeting of these sides this season with CSKA having won all three so far. The previous game in Malaga was quite a tough one, heading into overtime before Nando DeColo stepped up to clinch victory with a three-point play. Malaga have a chance to avenge all of these defeats and provide some hope to their season which could be extinguished if they suffer another defeat in this game. The Spanish side holds a 6-14 record in the season so far, which includes a 4-6 record in the regular season and a 2-8 record in the Top 16. 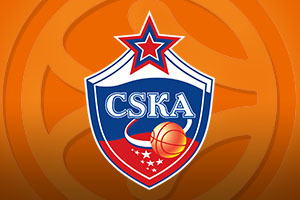 CSKA Moscow can boast of an 18-2 record this season with a perfect 10-0 in the regular season and an 8-2 record in the Top 16. It is easy to see why this team has booked their place in the play-off round. With respect to average points scored, Malaga have an average of 75.8 points while CSKA Moscow have an average of 88.1 points this season. Ryan Toolson is the key man for Malaga so far this season, serving up an average of 10.7 points per game this season. The top player for rebounds is Vladimir Golubovic with an average of 4.9 rebounds per game. Jayson Granger has also been a strong player for Unicaja, serving up an average of 4.3 assists per game. Nando DeColo has led the way for CSKA this season with an average of 14.9 points per game this season. He has been ably assisted by Andrey Vorontsevich, who has served up an average of 6.0 rebounds per game this season. CSKA Moscow have also been boosted by the form of Milos Teodosic who has provided an average of 7.3 assists per game this season. Unicaja may have struggled in the Top 16 but they are at the top of the Spanish league, sitting with a 20-4 record, the same record as held by Real Madrid but it is the Malaga side that holds the advantage. In their most recent domestic game, Unicaja grabbed an 89-85 home win against Valencia. CSKA Moscow are also at the top of their domestic league, with a 22-3 record. Their most recent domestic game was a 102-86 win against Zenit Saint Petersburg. Taking CSKA Moscow with a -7.5 handicap, a smaller handicap than what would have been expected if there was something really important to play for, at odds of 1.90, is a smart move for your betting options for Thursday night. If you want to get involved with the Over/Under market, choose to go OVER 160.5, at odds of 1.90. You will find both of these bets available with Bet365, one of the leading sportsbooks for Euroleague betting.